For this edition of the CxO corner, we’re excited to showcase our conversation with Ramin Beheshti, Chief Product and Technology Officer of Dow Jones. Ramin has worn many hats in the enterprise technology organization from coder and consultant to business analyst and project manager. 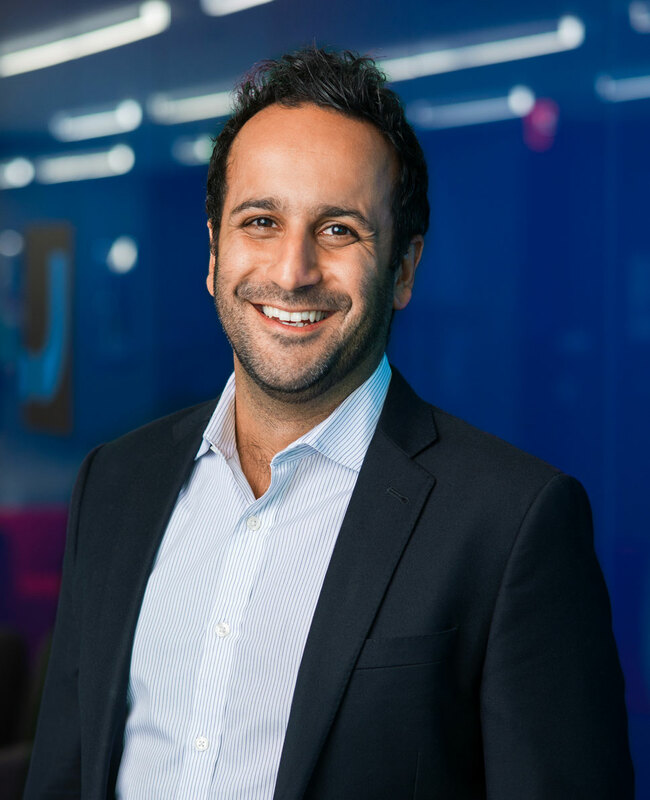 Recently promoted to Chief Product and Technology Officer from his previous role as CIO of Dow Jones, Ramin sat down with us to talk through how he got to where he is today, what he’s working on now, and what he’s looking forward to in the future. Enjoy! My career started with a computer science degree at university, which I don’t think is anywhere near essential to working in tech, and then I ended up at Deloitte in their technology consulting practice as a coder. At that point, I realized I'm probably not the best coder in the world and shifted more towards business analysis, where I focused on solving large scale problems. For example, one of my projects was mapping the requirements for the extension of the congestion zone in London to reduce traffic in the city. In my roles, I've always been the linchpin between what the business wants to do and what technology needs to be built to achieve that. From there, I moved more into program management and joined News UK, publisher of the The Sunday Times and The Sun newspapers, where I led engineering and product. When I moved to America in 2014, I picked up business systems, looking over all of enterprise applications, infrastructure, networks, and operations. By the end of that, I had worked in nearly every single part of technology that you can work in, or at least manage teams in, which is how I landed in my current role as Chief Product and Technology Officer. Welcome to the first edition of the CxO Corner, where each month we'll sit down with an enterprise technology leader whom we respect and admire to highlight their role, work, and perspectives on the past, present, and future of the technology landscape. New York is well known as the financial capital world, but is also home to many of the early buyers of emerging tech across its diverse industries, from financial services and media to healthcare, real estate, and transportation. 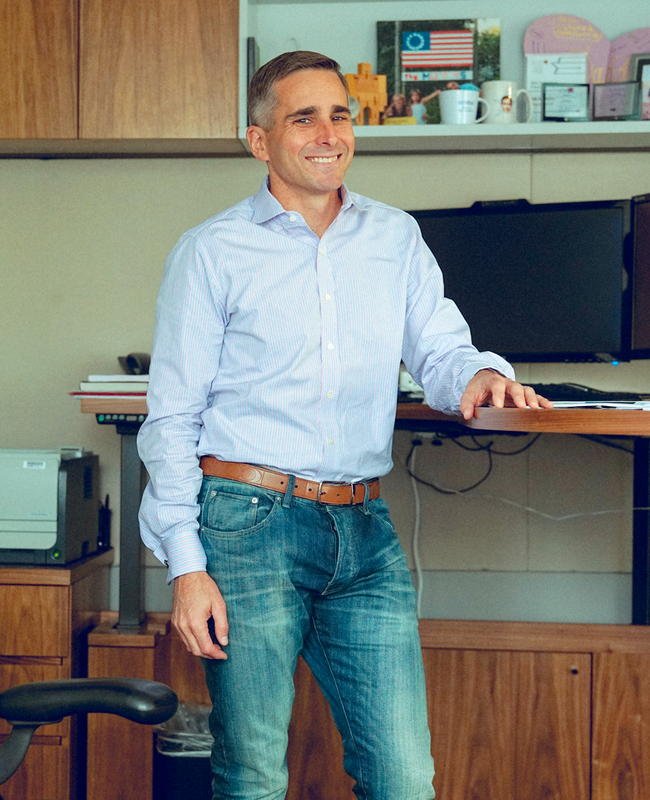 We're kicking off our inaugural post of the CxO Corner with Bill Murphy, Senior Managing Director and Chief Technology Officer at Blackstone, on his journey in technology and how entrepreneurs can be successful with tech executives like himself. Read below on Bill’s best practices and lessons learned; you’ll find insights for fellow technology executives and entrepreneurs alike. Note: this article was originally published on TechCrunch on June 28, 2017. Cloud computing is driving growth at 3 of the 5 most valuable companies in the world. AI will impact jobs only as quickly as AI-powered business software evolves. These are just two of the ramifications of disruptions in enterprise technology permeating mainstream media. Yet the inner workings of the tightly knit enterprise software industry are rarely publicized. Most talented engineers flock to Instagram and Snapchat where they help The Kardashians hyper-optimize selfies. Taking part in the B2B subculture of Silicon Valley feels like a second-rate option. We’re excited to announce that Work-Bench is joining Google’s new fund focused on AI and machine learning investments, Madrona, Rakuten Ventures & Osage University Partners to invest in Algorithmia’s $10.5M Series A. To the outside world, data science can look like a lot of razzle and dazzle. But at an enterprise grade and scale, it requires an inordinate amount of work to truly get a model into production. From siloed data sets and strict data governance policies, to a lack of central repositories for machine learning models in an organization, there’s no way to manage the full lifecycle of algorithm development - let alone the infrastructure to quickly and efficiently deploy and host compute intensive AI models. What’s needed is a seamless platform to build and deploy machine learning models - a Github and Heroku for AI development at the Fortune 1000. Enter Algorithmia. The company’s mission is to make state of the art algorithms accessible and discoverable. They’ve built a public marketplace and common API for algorithms, functions, and models that run as scalable microservices, allowing anyone to leverage the latest in AI research from top universities and add a layer of intelligence to existing applications.